Our range of products include basf masterbrace 2200, master flex pu sealant (600ml), basf sbr latex, basf masterpel 777 (20kg), master emaco sbr2(20kg) and basf floor hardner. Master Brace ADH 2200 is a solvent free, high performance, non-slumping epoxy mortar and adhesive. Master Brace ADH 2200 can be used as a bedding mortar, thixotropic adhesive and non-sag concrete repair mortar. 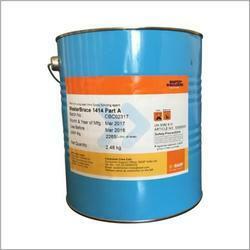 DESCRIPTION MasterSeal NP 472 is a high performance one component, moisture curing, polyurethane construction sealant. In properly designed and constructed joints the product has been formulated to offer a non - slump elastomeric seal, which exhibits good skin formation time and a fast cure. TYPICAL USES MasterSeal NP 472 has been developed specifically for sealing dynamically moving joints such as; expansion and control joints. 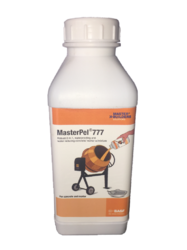 MasterSeal NP 472 demonstrates high elasticity and recovery properties and therefore may be used to bond and seal most common building materials including concrete, glass, wood, stone, metal and anodised aluminium. In addition MasterSeal NP 472 has excellent tear resistance and good weathering characteristics. 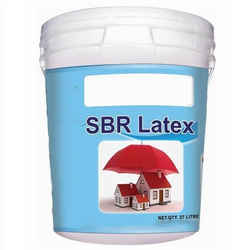 DESCRIPTION MasterEmaco SBR 2 is a milky-white, StyreneButadiene co-polymer latex liquid, produced from styrene and butadiene by high pressure emulsion polymerization with high dispersive properties.When used with cement, concrete and plaster, it reduces the mixing time through high dispersion of the polymer and improves waterproofing, new to old concrete/plaster bonding and strength characteristics and reduces shrinkage and cracking of the mix. RECOMMENDED USES Concrete repair Spalled concrete, repairing floors, beams and pre-cast slabs, chajjas etc. 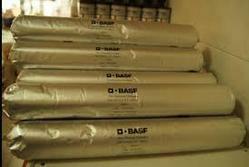 - Bond Coat For bonding new concrete to old concrete, plaster, stone/brick masonry. - Plaster repair For repairing plaster or making water proof plaster which is better than normal plaster. - Floor screeds and toppings Abrasion resistant and non-dusting floors. - WaterproofingBasements side walls and rafts, lift pits, inspection pits, sunken/overhead water tank,sunken portions of bathrooms and toilets, balconies, chajjas, exposed roofs before finished screed. - Other typical applications Bedding tiles, fixing or re-fixing slip bricks. 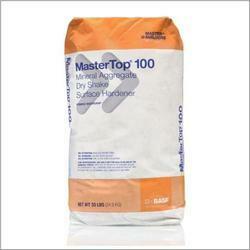 MasterTop 100 is a pre-mixed powder designed to be applied as a dry shake over freshly floated concrete floor. MasterTop 100 creates an aesthetically pleasing, coloured floor with significantly improved abrasion resistance. It is based on selected hard wearing mineral aggregates blended with alkali and light fast pigments and hydraulic binders. MasterTop 100 is available in various standard colours. MasterLife CI 220is a state-of-the-art, dualmechanism (bi-polar) corrosion-inhibitingadmixture formulated to inhibit the¿¿corrosion ofsteel in reinforced concrete.MasterLife CI 220provides dual corrosion protection,¿¿forconcrete and steel,making it the mosteffective corrosion-inhibiting¿¿admixture available.Mechanism of Action¿¿MasterLife CI 220functions by inhibitingcorrosion at¿¿its most critical points by lining the¿¿pores of the concrete matrix thus slowing the rate¿¿at which chlorides and moisture enter the¿¿concrete and denying the corrosion process of its¿¿two most important components.MasterLife CI 220provides additional protectionby¿¿adsorbing onto the reinforcing steel to form a¿¿corrosion resistant protective film. This protective¿¿film dramatically slows the corrosion process by¿¿preventing chlorides from reacting with the¿¿reinforcing steel, and by depriving the corrosion¿¿process of moisture, thus slowing the¿¿rate ofcorrosion. 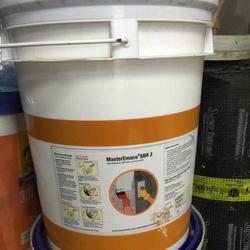 DESCRIPTION MasterTop 100 is a pre-mixed powder designed to be applied as a dry shake over freshly floated concrete floor. MasterTop 100 creates an aesthetically pleasing, coloured floor with significantly improved abrasion resistance. It is based on selected hard wearing mineral aggregates blended with alkali and light fast pigments and hydraulic binders. 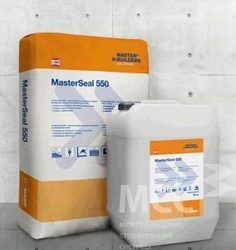 MasterSeal 550 is a two component acrylic modified cementitious coating that requires only on site mixing to form the ideal product to waterproof and resurface concrete, masonry, and most other construction materials. Simply applied by stiff brush, roller, or trowel, it forms a waterproof, flexible coating. MasterSeal 550 provides an effective barrier to waterborne salts and atmospheric gases. Fluid applied, MasterSeal 550 provides a hard wearing, seamless, waterproof membrane for roofs and foundation protection.